Fall is officially here. As we all wait for the leaves to change and temperatures to cool, plans for the 2018-19 ski season are upon us. Here are some updates to keep you informed and fun events for you and your family this fall. Are you are interested in participating on the SNHA Board? 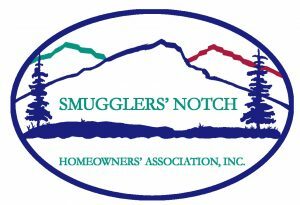 The Nominating Committee would like to speak to homeowners (including adult children of deeded owners) who would like to help guide SNHA. Please contact Joe Ingram joe@snha.net for further information. All 2018 action list follow up work must be completed no later than November 15, 2018. If you have work in progress or are unclear of your current Quality Home status, please contact Laurie Thorpe lsamal@smuggs.com or (802) 644- 1130 and she will be happy to provide you with assistance.